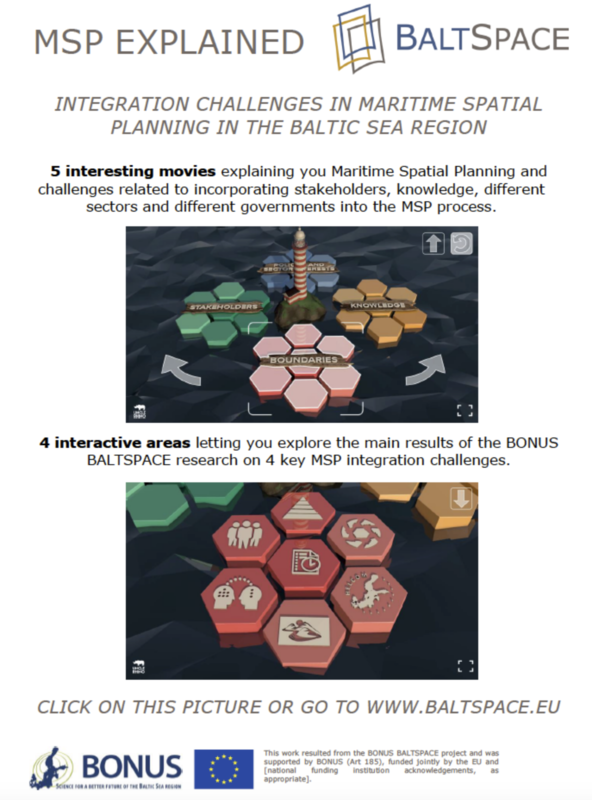 The BaltSPACE project launched a video 'MSP Explained: Integration challenges in Maritime Spatial Planning in the Baltic Sea Region'. With the BALTSPACE interactive tool you are able to explore the projects findings in an easy and understandable manner. Learn more about the main challenges related to incorporating stakeholders, knowledge, different sectors and different governments into the MSP process. Click on the buttons in the 4 interactive areas to read the most important project findings related to these challenges. Surf to https://www.baltspace.eu and explore these findings by yourself!